Photo of Bill Quicksilver and Donna L. Wilson by Amy Cantrell. Manatt has selected Donna L. Wilson as its new Managing Partner and CEO effective July 1, 2019. The head of the firm’s privacy and data security and co-chair of its financial services litigation practices will succeed the firm’s longtime leader, Bill Quicksilver. The selection was a remarkable choice for a number of reasons that underscore a rapidly changing legal profession. Wilson was wooed to the firm as a lateral partner five years ago after a career that started with her putting herself through University of Virginia law school and then clerking for the late 9th U.S. Circuit Judge David Thompson in San Diego and the late U.S. District Court Judge Stanley Brotman of New Jersey. She is an inclusion advocate and active in the LGBTQ community. Wilson will lead a firm that has changed dramatically in the past decade, transforming from one of Los Angeles’ leading political powerhouse firms into a unique, integrated business that pairs a law practice with a strategic business consultancy through its Manatt Health and Manatt Digital divisions. Manatt now has nine offices with strong law practices in litigation, transactions and regulatory work; has been recognized as one of only 20 U.S. law firms on the American Lawyer’s “A List”; and has achieved perfect scores for its inclusiveness. “What I’m most proud of over the last 11 years is the direction we are headed today, our strategic focus and the transformation of our firm. We’ve responded to what we see happening in the industry and in the economy and tried to get ahead of the pace of change to create a brand that distinguishes Manatt from our competitors,” Quicksilver said. A thoughtful M&A specialist, Quicksilver knew Manatt needed to transform when he took the reins in 2007. The law firm world was being brought to its knees with the financial meltdown, and in California, the fight among firms to survive was brutal. Legal business plummeted and many firms either failed or were acquired. 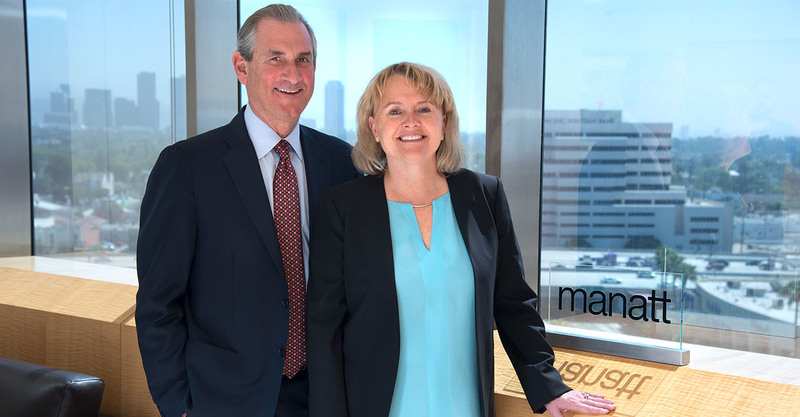 Under Quicksilver, Manatt took a different tack, engineering the expansion of its consulting services while deepening its legal bench in key emerging areas such as healthcare, digital media and privacy and cybersecurity. “It’s a law firm so it’s like trying to basically turn a destroyer around. But once we embrace something we do it fast,” he said. Quicksilver understood that the two potential areas for more business were to take business from other firms – a tough proposition – or helping to create more business by focusing earlier in the food chain. He said the firm has succeeded in providing strategic consulting services for clients who later realize it’s best to stay with Manatt for the legal work to implement their vision. That innovative spirit was what attracted Wilson to the firm. She recalls meeting with Quicksilver at Snug Harbor, a decidedly low-key hole in the wall in Santa Monica, and being immediately impressed with the thoughtful strategic changes he was leading. “Today’s Manatt is very different from what people may think. For example, we have our historically strong practices in media and entertainment, financial services and healthcare, but we approach these industries and clients through the lens of the new economy. Our approach, inspired by our California roots, is demonstrably entrepreneurial and disruptive, as seen with the development of our Manatt Health and Manatt Digital businesses,” Wilson said. Manatt Health has been built under the leadership of Bernstein, who created it in 2007 to complement the firm’s health law services with strategic consulting on the ever-changing health landscape. It has 70 consultants at Manatt Health Strategies practicing alongside roughly 30 health regulatory lawyers and 60 additional lawyers from the firm who work on various health matters. Manatt Health has a blue-chip client roster that reads like a who’s who in health care today and is relied on for everything from detailed strategic planning, to large-scale transactions to major litigation. It is also known for its in-depth knowledge of how the health policy landscape is changing and in the last three years has built a health analytics shop allowing it to use big data to inform its business analyses. Lead attorneys and consultants in the practice include many with storied backgrounds as major industry players. Manatt Digital, meanwhile, is led by California partner T. Hale Boggs of the legendary political family. It, too, grew from the firm’s strength in entertainment and media law and the recognition of the consulting opportunities that would arise with the convergence of entertainment and media with new technologies and platforms for content distribution and interface with clients. Today, Manatt’s business strategy consulting expertise competes with McKinsey, Bain and Deloitte and serves as a conduit for legal business to the firm’s 330 lawyers. The strategy has also ensured the firm can continue to strengthen other core values, including inclusiveness and a robust public interest and pro bono practice. Wilson’s election resulted from a new process undertaken by the firm’s Board of Directors. Under the leadership of litigation rainmaker Greg Pimstone, the Board established the Managing Partner Selection Committee, which consulted a wide and diverse range of stakeholders at Manatt to identify candidates. Quicksilver talked to those who considered it, advising them on what the job entails: a lot of listening, learning things you don’t know and leadership, among others. On Saturday, Wilson presented her vision of the future Manatt to the Board and Selection Committee. The Board voted to approve Wilson as the new Managing Partner and today she was elected by Manatt’s equity partners. She will become Managing Partner on July 1, 2019, and will work with Quicksilver in the meantime on the transition. The firm is recently riding a wave of strong results, from rising profits per partner and gross revenue to acquisition of big name lawyers including former White House Counsel Jack Quinn to its fabled Washington, D.C. office founded by Chuck Manatt and now led by Doug Boggs. 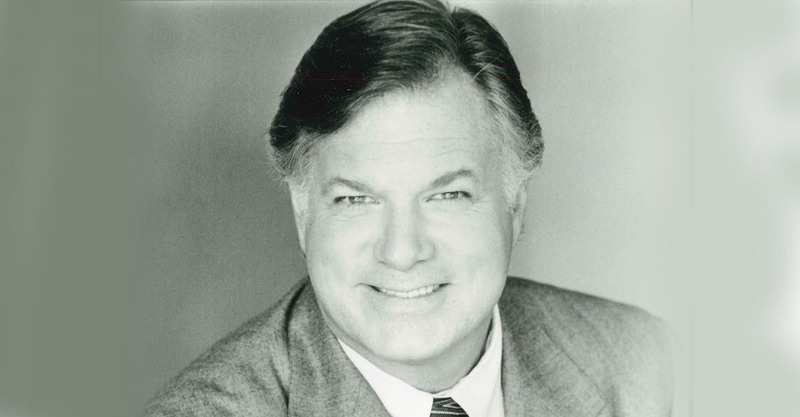 Another member of a fabled political family, Kathleen Brown, joined the firm in Los Angeles in 2013. Few were surprised that the firm, which has always been a meritocracy, chose Wilson as its next leader. Pimstone added that, throughout the process, there was an appreciation for the sweet spot Wilson brings. About the Author: Katrina Dewey (katrina@lawdragon.com) is the founder and CEO of Lawdragon, which she and her partners created as the new media company for the world’s lawyers. She has written about lawyers and legal affairs for 30 years, and is a noted legal editor, creator of numerous lawyer recognition guides and expert on lawyer branding. She is based in Venice, Calif., and New York. She is also the founder of Lawdragon Campus, which covers law students and law schools. View our staff page.